The film GET OUTTA HERE (SEI HOI DI LA) two nights ago held its premiere. 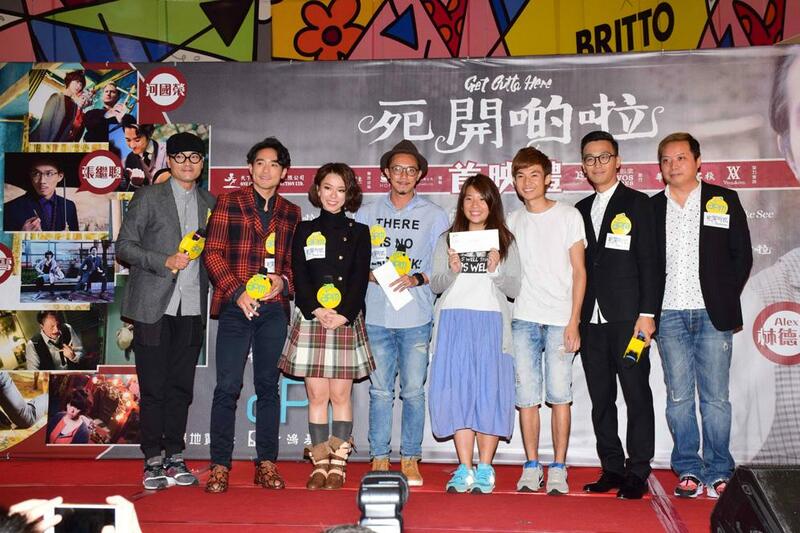 Producer Gordon Lam Ka Tung, Paco Wong and actors Alex Lam Tak Shun, J.Arie (Lui Sum Yu), Louis Cheung Kai Chung and Ng Yuen Yi attended. 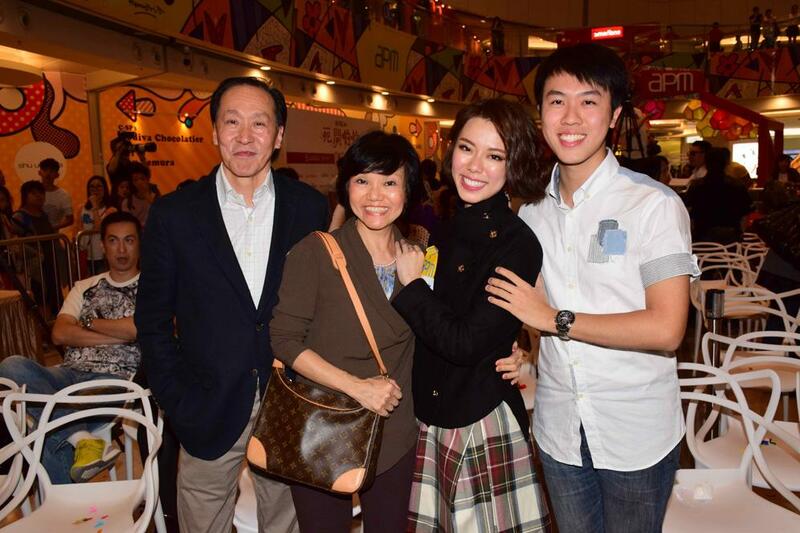 George Lam Chi Cheung and Sally Yeh (Yip Sin Man) two nights ago made a rare appearance to support his son Alex. They posed together for a warm family photo. Alex said that two nights ago aside Papa and Sally, many friends and family showed their support. His sister came too; he also said that on this night he worked the complete version of the film with his family and other actors. He was both happy and nervous because he did not know how he performed. However he was confident about his performance, he has also heard that the outside reaction was pretty good. After the show would he ask Papa and Sally for their opinion? Alex said that after the show they probably would immediately go home and go to bed. He could wait to ask. Yet when he made KUNG FU ANGELS (CHING CHUN DAU) he asked for their opinions. They said that he performed well. However this time was his first lead role, so the pressure would be a little greater. Speaking of Ah Lam staying up to show his support, Alex said that earlier he told Papa that he had to come. Later he would have to buy tickets to watch it again. Would he like to work with Papa on a movie? He would like to and would not mind play anything, as long as they would work together he was fine. Two nights ago his girlfriend Linah Matsuoka was nowhere to be seen. Alex admitted that she would like to invite her, but too many people came. This time was mainly for the actors and the investors to celebrate together. Later he will treat his friends. J.Arie also invited her entire family. She admitted that she was very nervous, like when she was waiting for her HKCEE scores. In the film she would use foul language. She said that the line was rather explosive for a girl, representing what was in the hearts of 90% Hong Kong people. Would she use foul language normally? J.Arie said rarely, but sometimes when she was working on music and around friends it was friendly language. The most important was for it not to be offensive; she also said that before the shoot she had to spend time to practice that line like she was crazy.